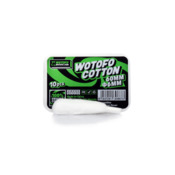 Wotofo 6mm Agleted Organic Cotton is made of 100% organic cotton. 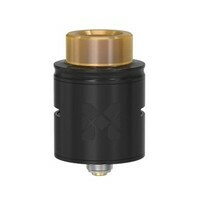 Specifically made for the Wotofo Profile RDA and other mesh RDAs. 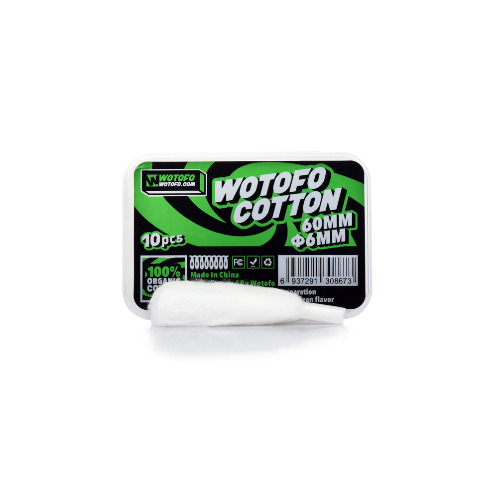 Wotofo 6mm Agleted Organic Cotton is made of 100% organic cotton. Specifically made for the Wotofo Profile RDA and other mesh RDA's, the pre-cut cotton strip takes the guesswork out of wicking with it's 6mm diameter. 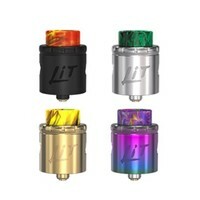 The long fibers make wicking smooth and it is not easy to pull-apart. The aglet makes it easy to thread the cotton through the mesh.